Publications → Jazzed In Indy! I made this image several years ago for a Northwest Airlines publication called World Traveler. 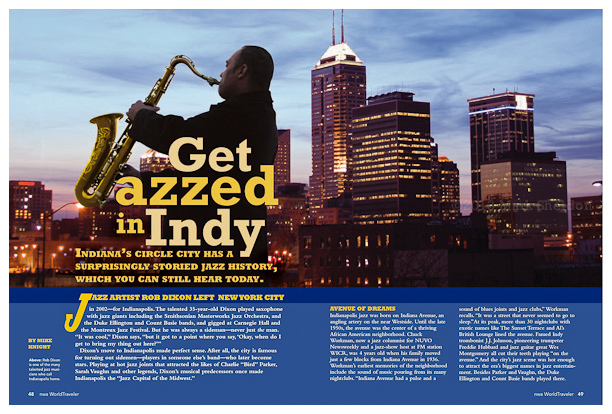 They were doing a multi-page feature on Jazz in Indy. Musician Rob Dixon is standing on a ledge with a 20′ drop to his right. In an effort to place him where I needed him in the frame, I was shooting off a tall ladder. I had been searching for a location to get some of the downtown buildings in the background and found this spot. I shot this image of Rob in the late afternoon and another image later in the late evening to catch the lights on in the buildings. This was my first of many projects for this publication. 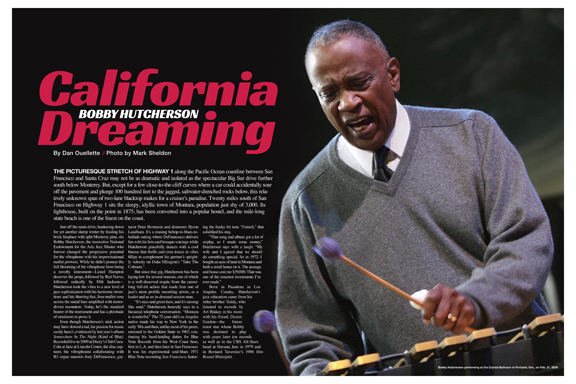 This is a cover I did for the March 2011 issue of DownBeat magazine. 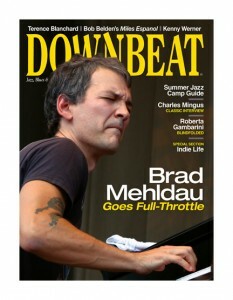 DB did a nice feature on Mehldau in recognition of being honored with the Richard and Barbara Debs Composer’s Chair at Carnegie Hall for the 2010-11 season….the first jazz musician to recieve this honor. This photograph was taken in Chicago 2010 during a trio performance with bassist Larry Grenadier and drummer Jeff Ballard….a wonderful performance!